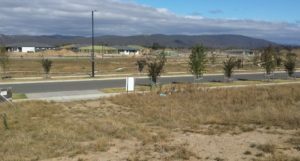 Vogue Constructions have a range of House and Land Packages for Googong that can be customised to suit your needs. Lot 133 Rockley - Great value 460m2 flat corner block in Rockley stage 1 Googong with an easement on garage side allowing for caravan parking or trailer. 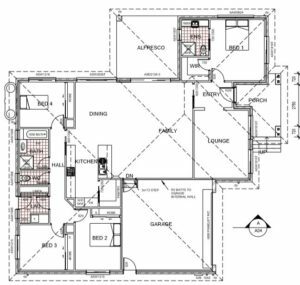 Indicative Vogue Custom House & Land Package for 2 storey as shown is $695,000 to $702,000. Design changes (i.e. 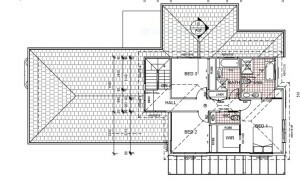 remove a 2nd bath from 1st floor, reduce storage area, make ground level ensuite a powder room only, include alfresco, add balcony etc..) are possible and inclusion items can also be costed out as part of the Vogue design and construct tender process. Split Land and Build contracts are available on this block. Therefore your stamp duty liability is only due on the land $ amount. No stamp duty applicable for first home owners. 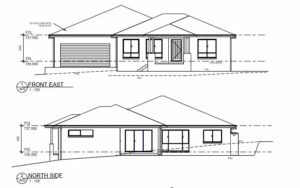 $10,000 government cash incentive for building new applies with this package for first home owners. Contact Nick about what is included in Vogue standard inclusions and discuss any design changes required to make it your new house for 2019. Phone 0430 393 345. Vogue Constructions built this house in 2013. Currently under a 6 month short term lease. It is available for genuine sale. Great block size of 611 m2. 100m2 larger block than most on the market. Level backyard for family with synthetic grass play area and room for vegie garden. House has been totally repainted and new mirror kitchen splashback installed. Ready to move in with 5% exchange and then final settlement. House currently has Gas Ducted Heating. No cooling. We can replace with New Electric Ducted A/C with heating and cooling if required. Haier (single phase) Reverse Cycle Ducted Air conditioning system - High Static 14Kw/16Kw with 9 outlets (round). 5 year warranty on all parts and labour. Add $9,570 inc GST to the price. Location is in the heart of Googong. Easy walking distance to Beltana Park and Club Googong facilities (pool, cafe, gym). Boarders onto Beltana Park once you cross Beltana Avenue. A future change in the traffic flow will occur when the main entrance of Googong Central is open at Wellsvale Drive, reducing the traffic on Beltana Ave. Buy now before it happens. A great size 4 bedroom home with two distinct living areas. Generous lounge area. All the bedrooms together - works well with young children. Totally landscaped (front and back) and fully fenced with side gates. Turn key nothing to be done. Includes blinds. Be the first to view and buy this property ....... Suit home owner or investor. Quality 4 bedroom rentals are in high demand in Googong. Contact Nick Gorrie directly on 0430 393 345 or call into the Vogue Display House during opening hours at Googong Display Village to arrange an inspection. • land price$275,000 for 407m2. • Snip from Lot disclosure plan. • Less than 0.5 m fall across entire block. • North to the street. • It would suit a 3 or 4 bedroom single level home. 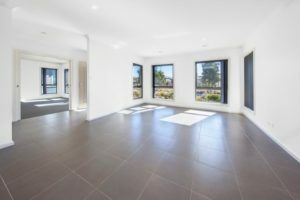 • 407m2 will give you some additional area around the house. 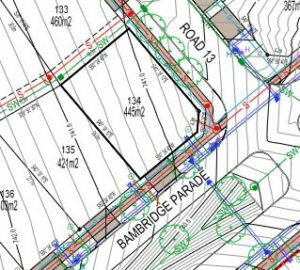 • Easement for storm water and sewer drains underground on east side which means this cannot be built on which keeps space from neighbour. (info sheet available). 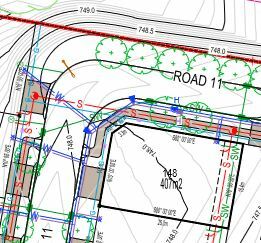 New design guidelines for Googong Central means we can have a skillion roof to the street. This change in Googong Central vs North really suits Lot 148 because of the opportunity to rake the ceilings to North (long length of block viewing Road 11) in living areas with a skillion roof design. Lot 148 can deliver a good result with a $570,000 - $605,000 working budget for Vogue custom house and land package. SOLD. 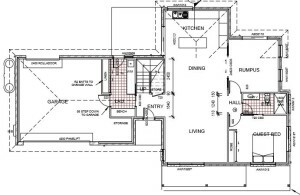 • Allows good North position for Kitchen / Living area opening out into backyard. • If you are interested in the long game - a very good block for capital growth. • Potential to suit a single or double storey. • L shape design single level house would maximise the backyard area and gives you privacy from street. • 4 bedroom working budget around $627,000 – $635,000 for Vogue Custom House and Land Package. Also would suit a 2 storey design house. Please contact Nick for more information about custom design process and the timelines. Mobile 0430 393 345. Deposit taken off the market. 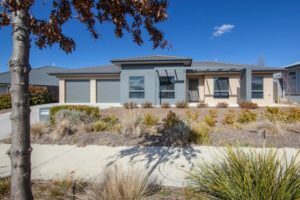 Great Montgomery Rise Googong Location with exceptional open EAST views. SLAB DOWN - BUILDING HAS STARTED. The Vogue Custom House and Land package price is $729,000 inc GST which includes a turn key inclusion specification. Price includes under roof alfresco 16.8m2 as drawn. The current design caters for the slope on the block. Site cut and fill included. Please contact us for the full inclusion list and more details. Any changes are welcome and we can cost out modifications or upgrades. • All PC items for wet areas. • Electrical allowance to cover electrical works as required and including supply of light fittings. • Supply & installation of Heating & Cooling with ducting to all living rooms and bedrooms. • Single glazed windows and sliding doors. (Double glazing is an option that can be priced). • Full height tiling in bathroom and ensuite walls included. • 50 m2 concrete allowance for Driveway, Footpath, Under Watertank, Under Clothesline etc..
• Landscaping design provided to comply with the Googong Design Guidelines. Developer provides some landscaping for Montgomery Rise blocks. Block also suitable for 2 storey design and build if location is right for you. 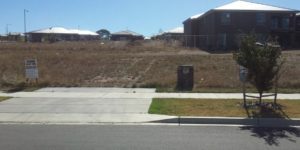 Lot 441 is located in Montgomery Rise Googong. Block is ready to build on NOW. The size is 501 m2 block. It has 21.8m frontage to the street. This block has exceptional east and South views to Montgomery Creek. 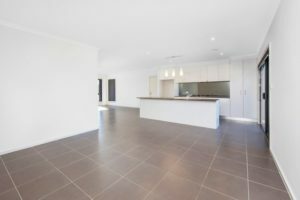 Vogue Constructions is a Guild Builder in Googong Display Village and Township. Please contact Nick directly for more information. Mobile 0430 393 345. 11am - 4pm Saturday & Sunday. 11am - 4 pm Monday to Wednesday or by appointment.